Come, dance the Indian way! 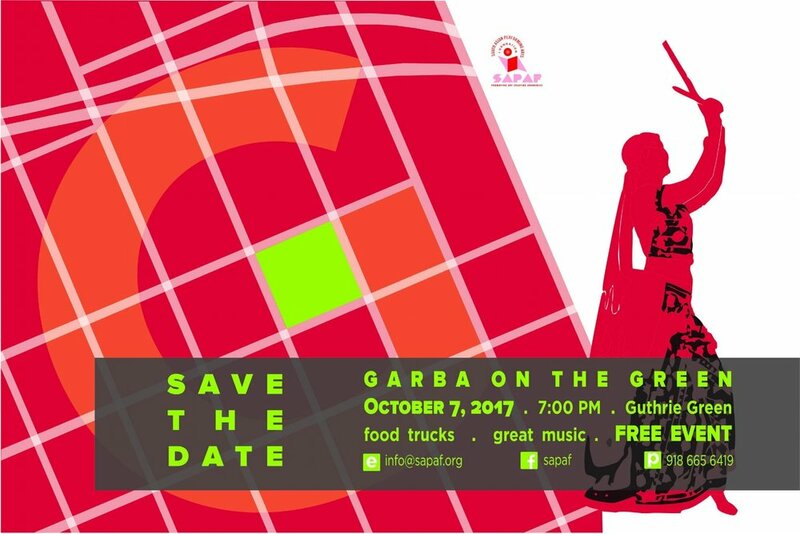 South Asian Performing Arts Foundation brings you “Garba on the Green”, an interactive, participatory Indian folk dance festival. Partially funded by the George Kaiser Family Foundation, this is a first for Tulsa! The event is free, all are welcome and no experience is needed. Introductory lessons will be provided. There can be no Indian festival without food and this is no exception. There will be trucks parked near Guthrie Green featuring world flavors from Indian to Italian, for you to purchase.